Wildlife and Forest Rights Groups Have Shared Interests. Why Don't They Work Together? Both groups must put aside their differences and leverage mutual benefits for conservation and protection of livelihoods and landscapes. The controversial shooting of an alleged ‘man-eater’ tigress Avni on November 2 in Maharashtra’s Yavatmal district sparked a nationwide debate involving wildlife conservationists, locals, forest rights activists and politicians. Urban wildlife conservation groups blamed people living in and near the tiger reserve, seeking a complete ban on human activities. This led to strong criticism from forest rights and tribal activists. 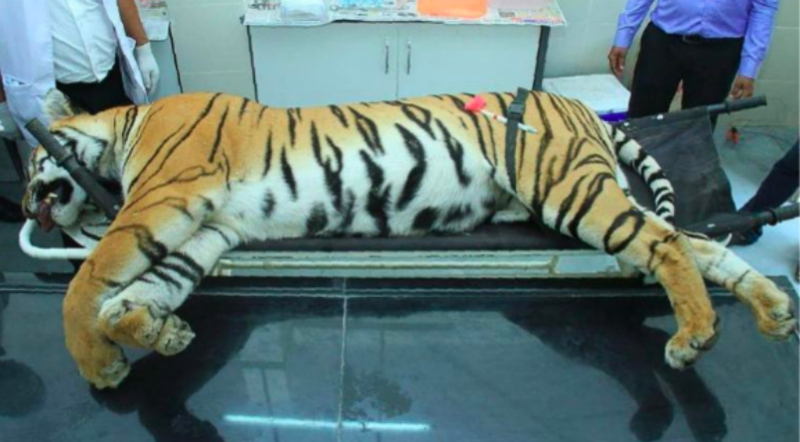 Two separate expert committees have been set up by the National Tiger Conservation Authority (NTCA) and Maharashtra, reflecting the seriousness with which the government has treated this outrage. However, the issue has now disappeared from public memory as the upcoming general elections, CBI and Rafale have come to occupy centre stage. Apart from Maneka Gandhi, no mainstream political party or politician came out in support of the wildlife conservation groups, in spite of tiger being India’s national animal. This begs the question – why wildlife conservation, at a time when climate change and biodiversity loss are the two biggest threats facing humanity, has such little support from the political class in India. Why do political regimes find it difficult to evict forest dwellers in the name of conservation? The reasons underlying the decline of political interest in conservation appear varied and complex, but a major one seems to be the emergence of rights-based politics post-2004. The dominant conservation strategy of creating protected areas witnessed large-scale displacement of forest dwellers from such areas without the proper settlement of their rights. The upscaling of India’s protected area network, from one national park, i.e Jim Corbett National Park in 1936 to 771 protected areas today was an outcome of the campaign and strategies of powerful wildlife conservationists, international and national conservation networks and NGOs, tourism industries and the political class in India. These conservation ideas and policies have been adopted from Western principles of deep ecology and fortress and failed to take into account the livelihood of more than 350 million forest-dependent people in the declaration and expansion of protected areas. The exclusionary conservation ideas faced stiff resistance from forest and tribal rights groups in the early 2000s, whose political campaign culminated in the enactment of the Scheduled Tribes and Other Traditional Forest Dwellers (Recognition of Rights) Act in 2006, popularly known as Forest Rights Act (FRA). The FRA recognises historical injustice meted out to scheduled tribes and other traditional forest dwellers and sought to restore the rights of forest-dwelling communities over land and the governance and management of forests irrespective of their classification, including protected areas through decentralisation of power to gram sabha. The Act further envisages that any declaration of protected areas requires settlement of forest dwellers’ rights and their free and prior informed consent. The FRA has been bitterly opposed by a few hard-line, powerful conservation groups and retired foresters on the ground that implementation of FRA will lead to the disappearance of forests and wildlife animals. They filed cases in high courts and the Supreme Court against the FRA. From the government’s side, the tribal affairs ministry – the nodal agency for FRA – has opposed the conservation cases and fought for the rights of tribals and forest dwellers. Thus, the political and official establishment is fighting to protect legal and constitutional forest rights of the tribals and forest dwellers, a major shift from the past. Fortress conservation no longer has the same political support as it did earlier, and alternatives based on rights and inclusions are emerging. Thus the simple conservation narrative underlying exclusionary conservation unpinning the protected areas system is being challenged globally and in India. In India, evidence from across the country shows that after ten years of implementation of the FRA, the prediction of conservationists about the devastation of forests and wildlife has not materialised. In fact, there is counterfactual evidence that in many cases, effective recognition of rights, particularly community rights, have actually led to much better protection of forests and wildlife. The above analysis tells us that in a changing world, no political party would back the large scale expansion of “inviolate” protected areas for tiger conservation in face of the opposition by tribals and forest dwellers. The justification given by the Maharashtra government in the killing of Avni is only one such example. This implies that conservation groups need to rethink their current strategies based on “inviolate reserves” to protect India’s precious biodiversity and wildlife. It is clear that local forest dwellers and tribal communities, armed with legal and constitutional rights, and backed by political parties, must be engaged for effective and sustainable conservation. At the same time, emerging evidence from India and globally is showing that forests and wildlife face existential threats from destructive development fuelled by consumer demands of the wealthy. Organised gangs of poachers, sometimes abetted by official protectors, kill animals for skins, bones, horns, tusks, scales for lucrative global markets. 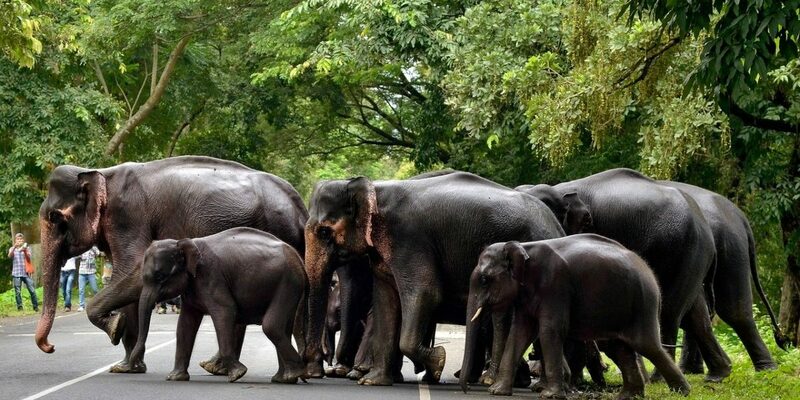 Newspapers are filled with reports of deaths of elephants, tigers and other animals due to roads, railways and electrical wires, while their critical habitats, including protected areas, are being transected and riddled by mines, dams, canals, roads and rail lines. At the same time, the media is also replete with the stories of local communities’ resistance against the destruction of biodiversity hotspots due to development. The interests of conservation and local communities come together in these struggles. In fact, many communities across the country have leveraged the FRA to protect forests and biodiversity from destruction from mining, dams and other industrial projects. Niyamgiri and Athirapally, both high-value biodiversity hotspots, were protected by communities against destruction using FRA’s legal protection. In both cases, local conservation groups worked with tribal communities to fight destructive development. These developments point towards a new paradigm for inclusive and rights-based conservation. Both wildlife and forest rights groups need to recognise the potential of both the FRA and the Wildlife (Protection) Act and leverage their mutual benefits for conservation and protection of livelihoods and landscapes. It’s high time wildlife conservationists and forest rights groups put aside their differences and come together under the banner of sustainable conservation practice to tackle the myriad of environmental problems facing us today. Geetanjoy Sahu teaches at the Tata Institute of Social Sciences (TISS), Mumbai.